If you still think wind turbines are a blot on the landscape whose persistent noises ruin the quietness of a faraway countryside, you should reconsider your idea. 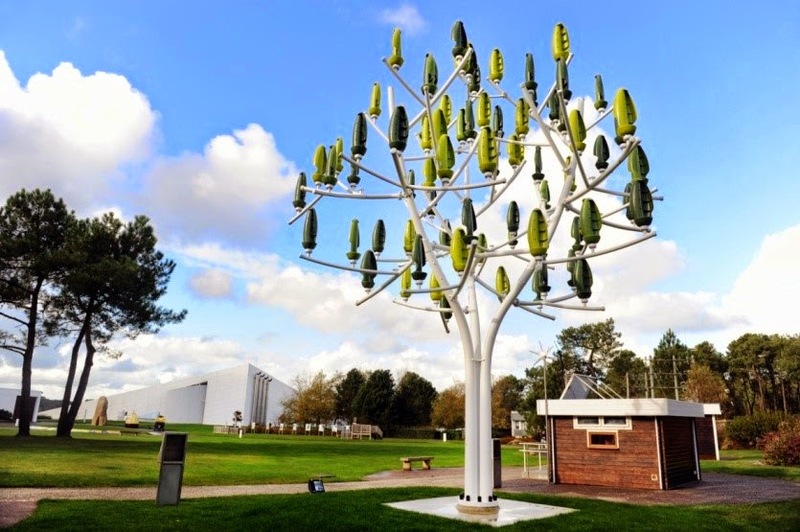 What if I tell you that actually silent turbines can grow on trees, which can be installed in your neighborhood? It is not fiction but the results of 3 years of studies conducted by a French team of engineers. Taking inspiration from nature, the innovative team came up with the Wind Tree, which is a 30 feet tall steel tree with branches and artificial leaves that can generate power on light breeze. Tiny blades are located in the leaf units and respond to wind as slow as 2 m/s, making the Wind Tree productive across more than 280 days in a year. 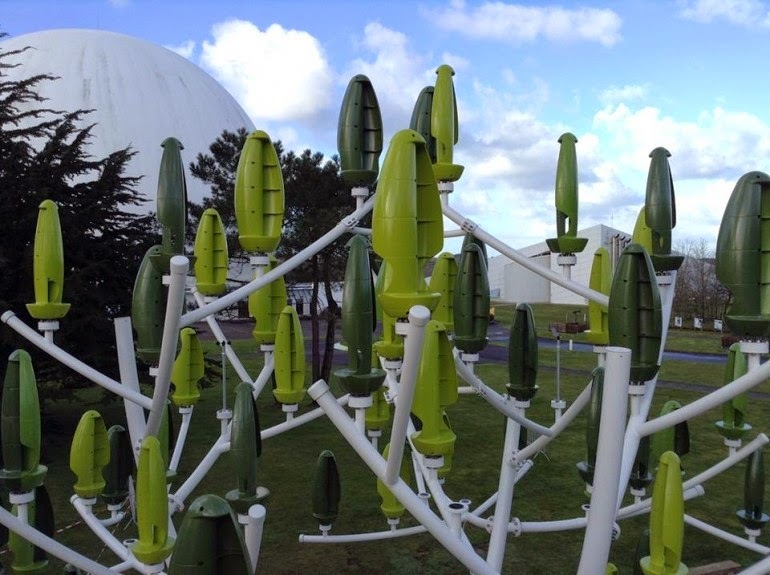 “The idea came to me in a square where I saw the leaves tremble when there was not a breath of air.” Said Jérôme Michaud-Larivière the founder of the Parisian start-up which will market the Wind Tree in 2015. 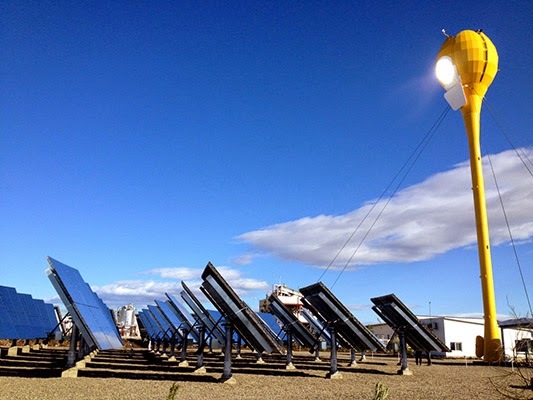 The French producer hopes his brainchild can be wisely integrated within the urban electric system and goes to supply low voltage needs such as street LED lamps or, combined with other means like photovoltaic, to feed energy efficiency building. The Wind Tree is just one of many examples (here is another one, and it's the one in this second picture) where, through innovation and technology, we are tackling the issue of environmental sustainable development, which hopeful is arising more and more awareness.